Despite my attempts to live a more analog life, I rarely have any significant stretches of time without a device in my hand or my eyes on a screen. You too? Thought so. There have been plenty of reports about the harmful effects born from the overuse of electronic gadgets. From eye strain and interrupted sleep patterns caused by blue light emissions to the increased physical and emotional stress caused by our ‘always-on’ culture, digital dependency is wreaking havoc with our ability to enjoy one another and all that we work for. Now there’s one more harmful effect to add to the digital list: accelerated signs of aging. Yikes! In recent months, we’ve witnessed the release of a slew of products designed to combat the effects of environmental stressors. Chief among those stressors for us city dwellers is air quality. On any given day, I’m forced to hold my breath to avoid noxious odors, unchecked automobile emissions or second-hand smoke. That works fine for my lungs, but my more defenseless skin is steadily absorbing it all. 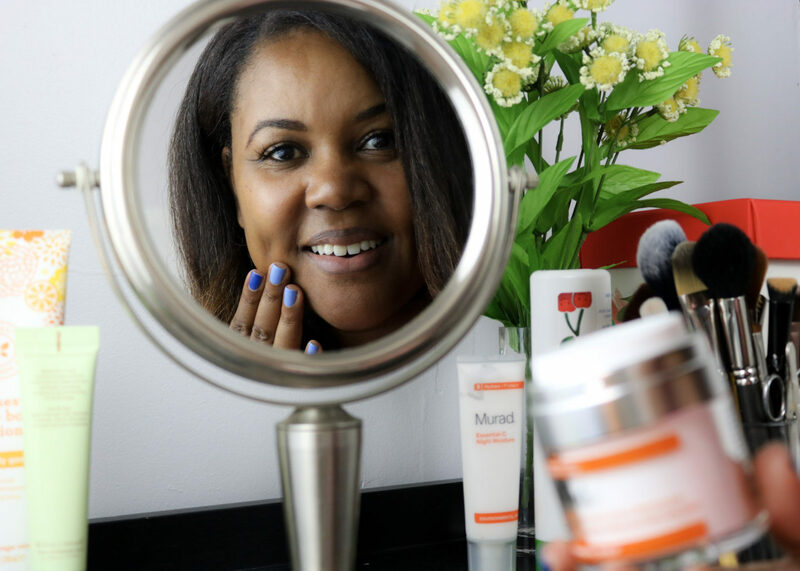 Naturally, I was thrilled to learn about the new Murad City Skin® Overnight Detox Moisturizer. Murad is one of my all-time favorite skincare brands and though I try lots of products, I always return to them. This new moisturizer is part of Murad’s Environmental Shield® collection that uses Vitamin C’s antioxidant powers to help combat the effects of environmental aging. 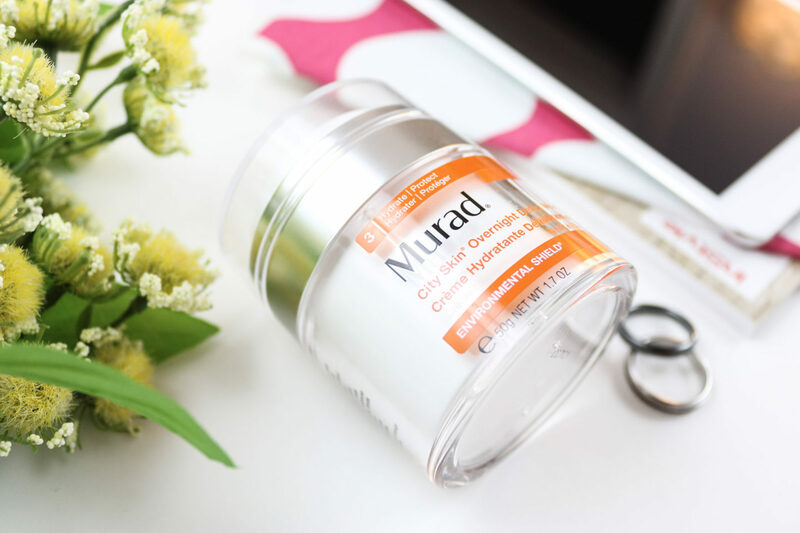 The Murad Essential C collection is my go-to, so this product fits right into my current beauty routine. The Murad Overnight Detox Moisturizer uses Marrubium Plant Stem-Cells to neutralize pollutants and strengthen your skin’s barrier while you sleep. Neutralizing pollutants in New York City is no small feat let me tell ya! 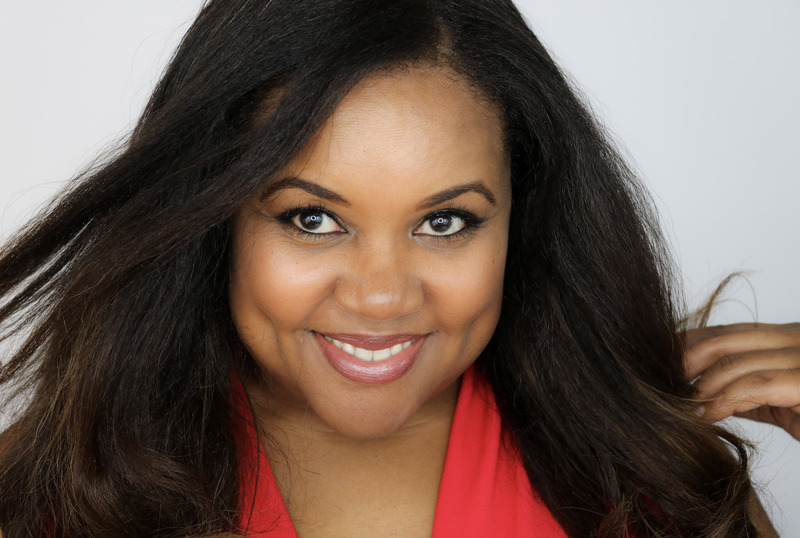 The long-term effects of detoxification remain to be seen of course but it has been love at first feel for me and the City Skin Detox Moisturizer! It absorbs quickly and feels super rich when applied. I judge all moisturizers by how much moisture I get immediately and how long that feeling lasts. Specifically for nighttime/overnight creams, if I can still feel the moisture in the morning, it’s a champ. Score another big win for Murad! 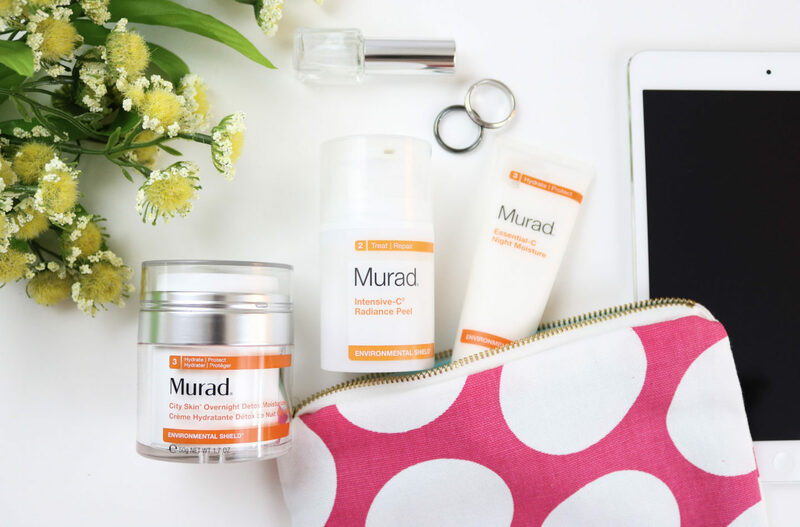 In addition to introducing new products to help combat the effects of stress on our skin, Murad is taking things one step further with its new EyesUp Campaign. The initiative aims to educate people on the effects of digital dependence and social isolation while giving tips on how to fight Cultural Stress™. The company has launched a content hub, EyesUp.com, to encourage people to reconnect with one another by disconnecting from devices. My social isolation can be pretty severe. I’m a loner by nature and my life/work as a blogger is inherently isolating as well. I can go for days without in-person contact. Most of the time I’m good with that (extreme introvert here) but sometimes it does get quite stressful. Experts in human behavior say that increasing human contact by even five minutes a day can have dramatic effects on your sense of well being and improve your overall health. I’m inclined to agree with them. If you want to join the movement, take the EyesUp Pledge and commit to putting down your device in order to interact with the folks in front of you. You know, your IRL friends. I’m taking the Murad #EyesUp Pledge so I can share, oh I don’t know, say sugar cookies with someone dear to my heart. One of my fave skincare brands, @muradskincare has introduced the City Skin Overnight Detox Moisturizer that combats the signs of aging caused by environmental stressors including the blue light from our devices. So Eyes Up lovelies & connect with the person in front of you! ? I took the #EyesUp Pledge in April after a much-needed hiatus from all things stressful. I’d spent weeks in hibernation doing nothing but reading, on my iPad of course, and it was definitely time for me to re-enter the real world and interact with my people. My overly strained eyes were very thankful! What do you think? Will the EyesUp Challenge help create more harmony and less stress in your life? What are some other ways you detox and de-stress? Sound off in the comments and share this post with your friends so they can take the pledge with you! * Press samples were provided for testing and review purposes. For more information on my blog policies and disclosures, please visit this page. Thank you for this review. I’ve seen Murad in at least two beauty stores (Sephora and a local spa) and have been wanting to try their products ever since. Now I know I will. Wonderful review. You have such beautiful skin. Awesome! I haven’t been paying much attention to my skincare these days, and i know that it is going through quite a bit in this DC air and in front of this computer all day. I’ve never had success with eye serums in the past. This looks like it could be worth a try! My skin is so sensitive but I need a good eye product for my dark circles. Ill have to check these out. I was taken in by your pictures and flat-lay skills. You already have beautiful skin so this product only highlighted skin that had been well-taken care of. It could also be that you were blessed with good genetics. Looks like it probably was a combination of both. Why thank you! And you’re right, it is a combination of both! First of all beautiful captured shots for this post. I love learning about new beauty products and I will have to look into the Murad brand more often. I have never heard of this product before but it is much needed. I think that is a great challenge to interact with people. Its sad when people are together but still are on the phone.. We need to go back to the days when social interaction was better then social media interaction. I totally agree. My heart always sinks a little when I notice that everyone I’m with is on their phone. I love Murad products. They aren’t the cheapest but the ones that I use/love are totally worth it.